Are You Behind On Mortgage Payment and Underwater on Your Primary Residence? The IRS Will Waive Your Deficiency! Does the Mortgage Forgiveness Debt Relief Act of 2007 apply to all forgiven or cancelled debts? Does this provision apply for the 2007 tax year only? How do I know or find out how much was forgiven? Yes. The forgiven debt may qualify under the "insolvency" exclusion. Normally, a taxpayer is not required to include forgiven debts in income to the extent that the taxpayer is insolvent. A taxpayer is insolvent when his or her total liabilities exceed his or her total assets. The forgiven debt may also qualify for exclusion if the debt was discharged in a Title 11 bankruptcy proceeding or if the debt is qualified farm indebtedness or qualified real property business indebtedness. If you believe you qualify for any of these exceptions, see the instructions for Form 982. Is there anything else I need to know before filing? Yes. Because the Mortgage Forgiveness Debt Relief Act of 2007 was passed so late in the year, the software systems used by tax preparers and at the Internal Revenue Service need to be updated to accept the revised Form 982. 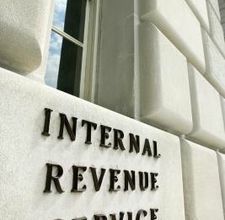 The IRS expects to be able to process the new Form 982 electronically on March 3, 2008. Contact Us TODAY to see if you qualify for the Mortgage Debt Relief Act!